More seniors are on the Internet these day than ever before, using it to keep in touch with friends and family via social media, to keep up with the daily news, to pay bills or to shop. In fact, according to the latest census data, more than 42 percent of American adults over the age of 65 are spending time online, putting the power of today's technology to good use in their daily lives. 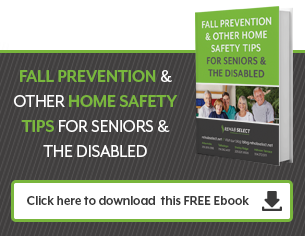 As great as it is that seniors are becoming so tech-savvy, there are risks with Internet use, most notably, scams that target senior citizens. 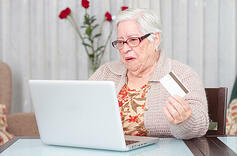 Email scams are big with cyber-criminals, and they often target seniors specifically. Among the most common are phishing scams, which typically use a technique called spoofing to grab information that can then be used to steal money. Spoofing is when a criminal creates an email that looks like it came from a legitimate financial institution, company or even a friend or family member. Often, there will be a link that leads to an authentic-looking site, which may require a log-in or other personal information, or be infected with malicious software that will steal your information next time you sign in to do your banking online or send spam to everyone on your contact list. You can avoid these scams by never clicking links in unsolicited emails. If you get one that seems to come from your bank, call or go directly to their site on your own, rather than using any links in the email, to make inquiries. Lottery or contest scams are also common. If you get an email claiming that you have won something, then asks for credit card numbers or other personal information in order to claim it, it is a scam. Another scam that is fairly easy to spot if you know what to look for are email offers for discount software – especially security programs – that offer a rock-bottom price or a free trial for software you can download immediately. These downloads are generally loaded with spyware to steal your information, so never click any links in software advertisements. Then there are the work online or investment scams that target senior citizens, claiming you can make hundreds or even thousands of dollars a day with their secret plan. If the email asks for money or personal information for a plan that will remain mysterious until you send it, it is a scam. Many of theses scams are also rampant on social media, with cyber-criminals putting spoofed messages or updates on a person's timeline or wall that appear to come from a trusted company, family member or friend. They typically contain links taking you to a site that is meant to steal your personal information. Many of these scammers are very good at what they do and their scams can be very convincing, so it is always better to be safe than sorry. If you get an offer, investment tip, contest or lottery notice that you find interesting, even if you are 90 percent sure it is legitimate, take a few minutes to do a little research before you click any links. Google the name of the company or offer, to see if scam complaints pop up, and search “common Internet scams” as well. When it comes to online scams that target seniors, or anybody for that matter, looking before you leap can spare you a lot of hassle and heartache.